I just received word that Southwest has made another negative move to their points redemption program. Southwest has been in a pattern of lowering the value of their Rapid Rewards loyalty program every couple of years. This latest change increases the cost of Southwest Wanna Get Away Fares while reducing the cost of Anytime and Business Select tickets. Southwest Wanna Get Away Prices Increase: Why does this matter? When I first started with Southwest’s loyalty program, you would get a free flight anywhere they flew after every 8 round-trip flights (or 16 one-ways). Several years ago, Southwest moved to a revenue-based system where the Southwest Wanna Get Away ratio was fixed $1 to 60 points. A flight that cost $100 would be 6,000 points. Then they moved the Southwest Wanna Get Away ratio to 70 points per $1. This meant that the $100 flight would now cost you 7,000 points. This is a 17% increase in cost! And, if that wasn’t bad enough, Southwest then moved to a variable system where some flights cost as much as 80 points per $1. Those of you used to the other airlines making changes to their award programs may shrug a bit. “Devaluations happen” people might say. Not in a revenue-based system! In a revenue-based system, fluctuations in the cash cost of a ticket are already baked into the price of a points ticket. When a flight is popular due to the destination, time of year, or remaining seats available, airlines already increase prices accordingly using their analytics and computer algorithms. If you increase the amount of points per $1 required to redeem on that flight, it magnifies the situation! For example, if a Southwest Wanna Get Away $100 flight was originally 7000 points based on 70 points per $1, then the flight price increases to $150 because a bunch of other people booked the flight. Now, Southwest may increase the points ratio required to 80 points per $1, which means that this ticket is now 12,000 points ($150 x 80 points per $1) instead of 10,500 points based on the 70:$1 ratio or even the 7000 points originally. Instead of paying 7000 points for a flight originally, you would be charged 12,000 points in this example. The latest Southwest Wanna Get Away devaluation makes the situation even worse. Southwest is trying to soften the blow by reducing the price of Anytime and Business Select Fares. On average, Anytime fares will cost 22% less and Business Select Fares will be 35% less. You can buy Wanna Get Away fares up to 14 days before departure. This change helps out people who book last minute or buy expensive fares, primarily business travelers. It reduces the value of travelers like you and me who like to plan ahead when booking our flights. These changes make me wonder what will come next from Southwest. They have been the popular choice for cost-conscious travelers for years. And they are known to be among the friendliest airlines around. 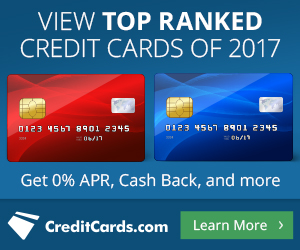 However, it seems that they continue to make changes to devalue their Rapid Rewards loyalty program on a recurring basis. That can’t be good for those of us who continue to show loyalty to Southwest Airlines. This is bad news in my mind. 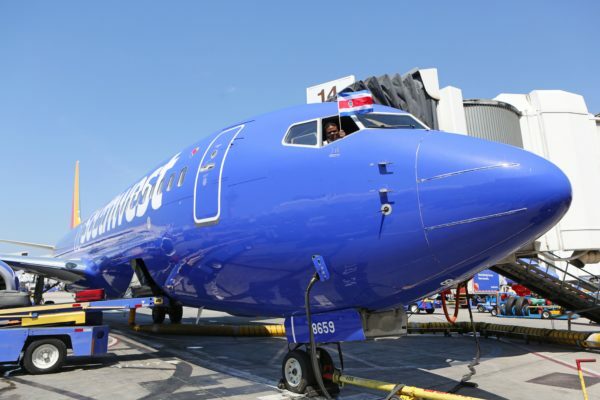 Southwest fruquently keeps the big guys in check on nonstop routes where they have matching service to the big guys. I live in Minneapolis, and the airfare is normally very high. But If I travel to Chicago, Denver, Baltimore, or Phoenix (Southwest non-stop flight cities), the prices can be much better. Since Delta has to compete on these nonstop routes, the prices are lower. When Southwest offers a sale on a particular route, Delta is known to match the price. At least on the nonstop flight. So if the prices are going up again, that’s bad news because it will make the sales not as good anymore. Exactly, competition helps keep prices low. With Southwest devaluing their points, it is bad news for everyone. Even those that prefer other airlines. I knew it was a wise choice to leave the program when they moved from segment based award to points. I would imagine that they are trying to cut cost and keep profit but I think there are better ways to do so. The companion pass is next on my “dead pool” points/miles devaluation list. I’ve had the Companion Pass for 12 years, and I am dreading the day that they finally turn the screw enough to shut off that awesome benefit. It really is amazing that it has lasted this long now that so many people know about it and use it for international travel. I’m really late chiming in here. Found your article after researching when Southwest raised their prices. I used to fly Southwest all the time, no matter what. However, over the past couple of years I have noticed that they are no longer a value to most of the places where I fly. Last year I took my family (9 people) on vacation and used AA because I was able to get round trips tickets to Orlando for only $126 pp! Southwest was drastically higher. And now I need tickets to Ft. Lauderdale for April and Nola for June and ticket prices are almost twice that of other airlines! I have 13,000 Rapid Rewards points saved up and that is not even enough to pay for one of the flights. And they will never get used if I feel like I’m been ripped off. I am so disappointed. I supported them for so many years. Thanks for sharing your story, Kris. I hear you, Southwest isn’t the “low cost carrier” today that they were years ago. I still fly them because I like their boarding process better than the other airlines and they have more space between seats. On other airlines, I can’t even bend over to get my backpack from under the seat! And I love that you can cancel flights without penalty and that they don’t charge for TWO bags per person. Most other airlines just increased their first checked bag fee to $30 each way! Plus, I have the Companion Pass, which makes flying Southwest much cheaper than other airlines for my family. Some routes are ultra-competitive and airlines will slash fares dramatically to win business. Don’t give up on Southwest just yet. As we’re witnessing in Hawaii, their presence instills fear in the hearts of other airlines and causes them to reduce prices to compete. We all benefit in this scenario, even when not flying on Southwest. Long story short… Today, it doesn’t pay to be loyal to one airline unless you are a mega-traveler for business. Only top-tier elites reap the massive benefits that make it worthwhile to stick with one airline (and possibly pay a little more for the ticket in doing so). I’m a free agent when it comes to airlines and make sure that I have miles available in all of the major programs so I can book the best route or the cheapest price when I travel.